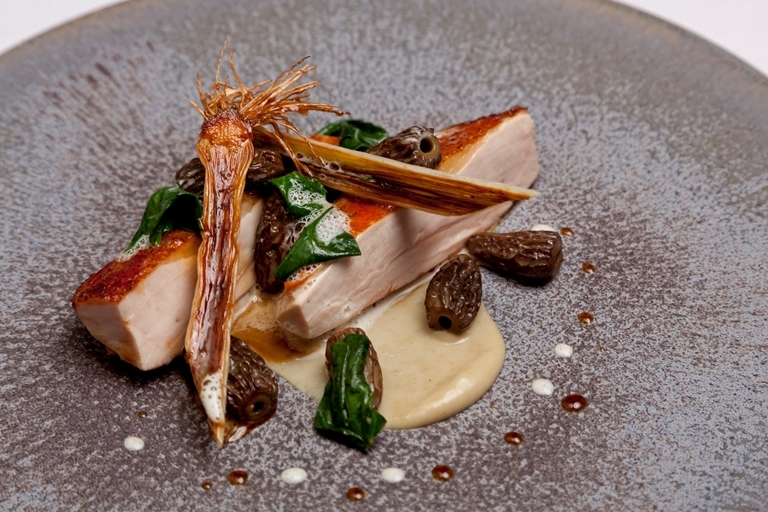 Marcus Eaves' roast guinea fowl recipe produces an expertly poised dish. The meat is roasted on the bone and paired with a sweet and warming shallot purée, leeks enhanced with the flavour of liquorice and textural morels. The final dish only uses the breasts, so reserve the legs for soups, stews or salads.